You can take a test for just about anything online. Want to learn what character on Game of Thrones you would be? What’s your favorite color? Who would go to jail with you? No doubt these are a fun distraction from work, but what do you really learn? Not much. But you can learn a lot about yourself with the right test. So, I scoured the internet and took every test I could find. Then, I created a list of the 5 best personality tests that I think will help you understand yourself and leverage your personality for personal and professional growth. Enneagram is based on an ancient body of wisdom that identifies nine core personality types and how each sees and interacts with the world. The nine personality types while distinct, are also interlinked. The Enneagram system believes that each of us has a dominant personality type inside of us that drives how we think, behave, learn, see the world, evolve. The Enneagram personality test gives you an in-depth multi-dimensional look at yourself. Why it made the list of best personality tests. It’s complex, in-depth and full of dimension, like humans. I appreciate how Enneagram nailed my inner personality, not just how I behave but also how I think (I’m an Enthusiast - Challenger which means I’m driven by freedom and a need to be self-reliant). I also appreciate that it’s based not just on modern science, but on ancient wisdom as well. If you are looking to put a mirror up to your mind, body and spirit, the Enneagram is the best personality test for you. The Innovation Quotient Edge (IQE) is the only personality test that helps you discover your natural innovation strengths and how to apply them to perform at your peak and bring more innovative thinking to your work and life. It’s based on 20 plus years of work, research and experience that has shown that everyone is capable of being innovative, but how we innovative is unique to each of us. There are 9 triggers of innovation and it’s the combination of your top two power triggers and the presence of your dormant trigger that unlocks your unique Innovator Archetype. I’m biased of course, but I built the assessment so that everyone can unlock the skills they need to succeed in today’s hyper-fast competitive landscape. In today’s world where commoditization, indifference and clutter are our biggest barriers to personal and professional success, the IQE will help you discover how to rise above all that with your natural innovation abilities (I’m a Risk-Taker Experiential with a dormant of Collaborative which means I innovate by learning and bringing things to life.) The more you can play to your strengths the easier it is to perform at your peak. This personality test is built to complement any of the standard personality tests because it’s focus is not on who you are, but how you innovate and add value to the world. If you are looking to find a way to elevate your game by being more innovative in your work and life and find a stronger more valued voice, the Innovation Quotient Edge assessment is best personality test for you. 16Personalities helps you understand who you are and why you do the things you do. It’s based on two key principles in psychology, Carl Jung and his psychological principles of Introversion and Extraversion combined with the Myers Briggs categorization and typology. 16Personalities brings them together to provide you with a surprisingly accurate look at who you are deep down, and then how you walk through the world. This personality test is fun, engaging, accurate and easy to digest. I greatly appreciate how they take something complicated like the Myers Briggs assessment and make it something I can understand and easily relate to (I’m a Campaigner which means I’m a total free spirit - see a theme here about myself). The reports are in-depth and full of interesting insights into yourself. 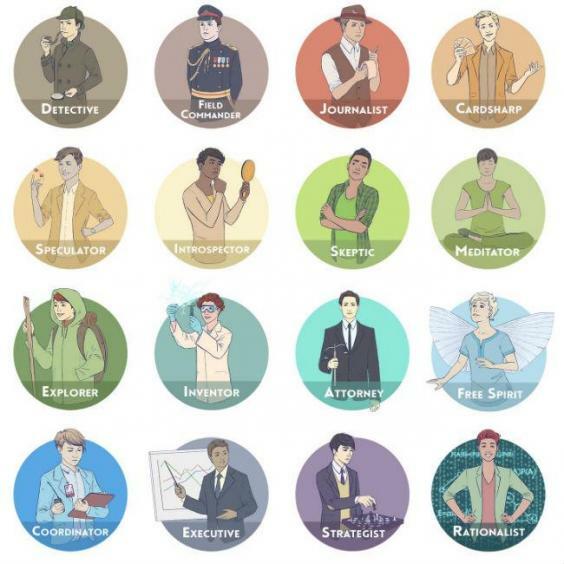 If you are looking to better understand who are you and why you are motivated to do some of the things you do, 16Personalities is the best personality test for you. Strengths Finders helps you discover your natural strengths and the strategies for applying them for improvement. Strengths Finders is built on the premise that we all have natural strengths that when uncovered help us understand how to apply our natural strengths for improved performance across our work and life. It is built on the premise of positive psychology that instead of focusing on our weaknesses which frankly can be draining and often leaves us frustrated by lack of progress, we should be focusing on our natural strengths, building on what we do best. There are 34 strengths or “themes” that serve as the foundation. I’ve taken Strengths Finders several times now. Each time I’ve gleaned new insights into how I work and why I’m successful at some endeavors and not others. 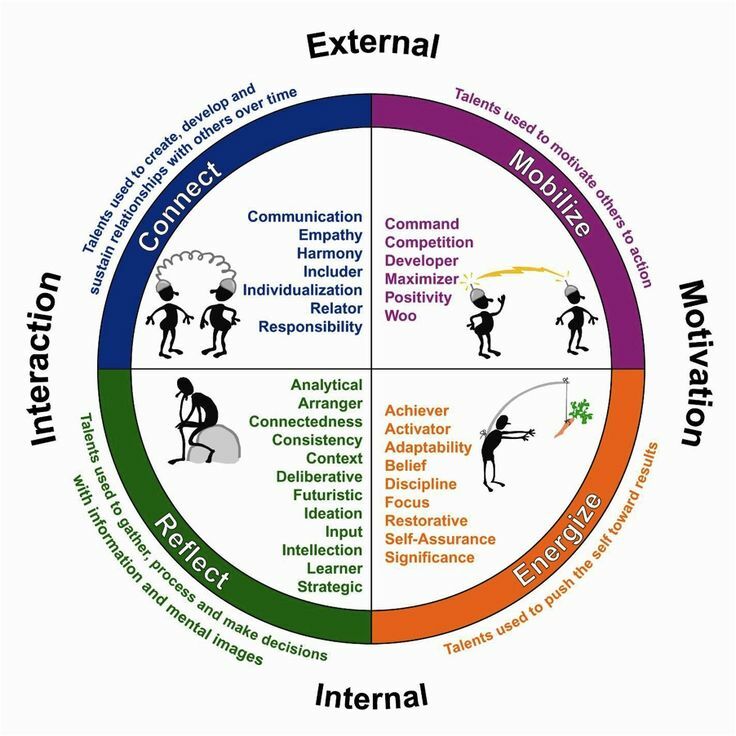 The reports include your top 5 strengths (mine always includes Activation, Command and Ideation and the other two rotate). I think it’s a great way to better understand how you approach projects, work and getting to your goals. It is also great for understanding why you don’t do well with some types or styles. If you are looking to better understand your natural strengths and strategies in order to leverage them better, Strengths Finder is the best personality test for you. How To Fascinate is the first personality test to not just tell you how you the see the world, but how the world sees you. It’s built on years of research and over one million participants. It helps you understand your primary personality advantage and how to leverage it. This personality test is all about how your personality adds value to the world. As it says on their website, this is a personality test based on branding, not psychology. There are 7 triggers and your primary and secondary triggers become your advantage. I liked how this personality test is more about how the world sees me versus the other way around. It gave me some insights into why people do or don’t gravitate towards me (my triggers are Power and Innovation, so I can be handful), how to use my communication style to my advantage and why I sometimes respond the way I do. If you want some insights into how to build your personal brand, How to Fascinate is the best personality assessment for you.